They say everyone’s Irish on St. Patrick’s Day in New York City. March 17 is a religious day of honor for Saint Patrick of Ireland, and the mid-month holiday has also become a free-for-all celebration of green statement pieces, Jameson, and Irish culture in general. 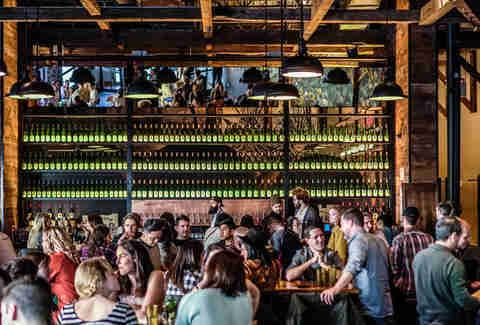 Whether due to its proximity to spring or abundance of green beer, the boozy holiday is a cornucopia of come one, come all carousing. This year, shake up your shamrocks over green eggs and ham at a Brooklyn Cidery, board a yacht party, and, of course, celebrate along the St. Patrick’s Day Parade route. Whether you’re a direct descendant of the great patron himself, toasting to the 4% of Irish blood your home DNA test detected, or just looking for an excuse to get the hell out of your apartment, we’ve got your St. Patrick’s social calendar covered. Most St. Paddy’s events aren’t till the weekend, but there’s no reason you can’t get in the spirit sooner. 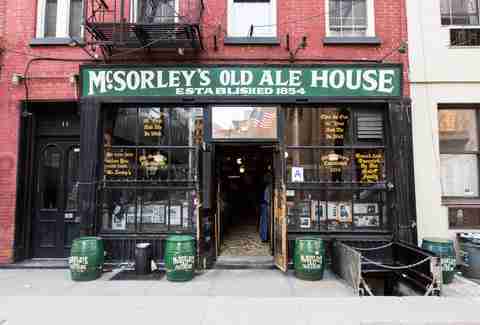 Hear traditional tunes at Paddy Reilly’s, choose between light or dark ale at the city’s oldest tavern, or hit up a pub replete with shepherd’s pie, bangers and mash, and corned beef and cabbage, like Molly’s Shebeen, The Dead Rabbit, or Swift Hibernian Lounge. Cost: Depends how early you start. St. Patrick isn’t just a patron saint of Ireland; he’s the patron saint of New York, too -- what’d you ever do? What better way to honor his legacy than to explore the recently opened-to-the-public crypts beneath the Basilica of St. Patrick’s Old Cathedral? 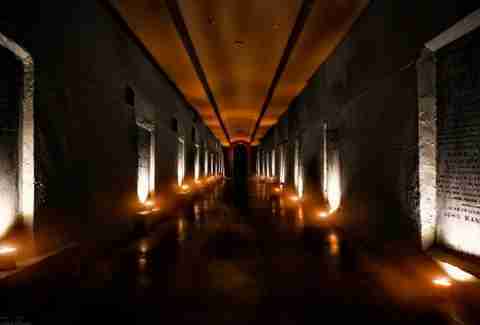 The Catacombs by Candlelight Tour creeps beneath Nolita streets and through the only catacombs in Manhattan, where you’ll glimpse some of Catholicism’s New York roots. 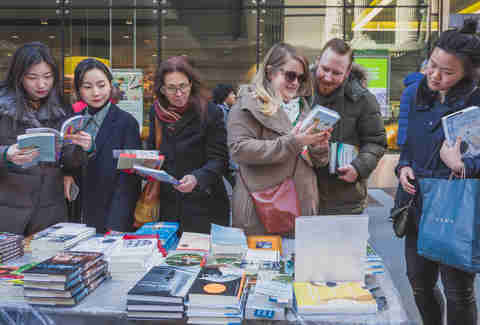 Kick off St. Paddy’s Weekend with the Irish Arts Center Book Day, when early risers can snag their next subway read at one of 12 free book pop-ups across the five boroughs. Set your alarm back a few minutes to get first dibs on literature; the stands go live at 8am and last until books run out (usually around noon or 1pm). Keep an eye on the event page for the full list of pop-up locations. Bar crawl specials are the lifeblood of St. Patrick’s Day weekend, and a few stand out among the boozy options. For the go-big-or-go-home experience, register for the massive, three-day St. Patrick’s Day Pub Crawl across Manhattan. 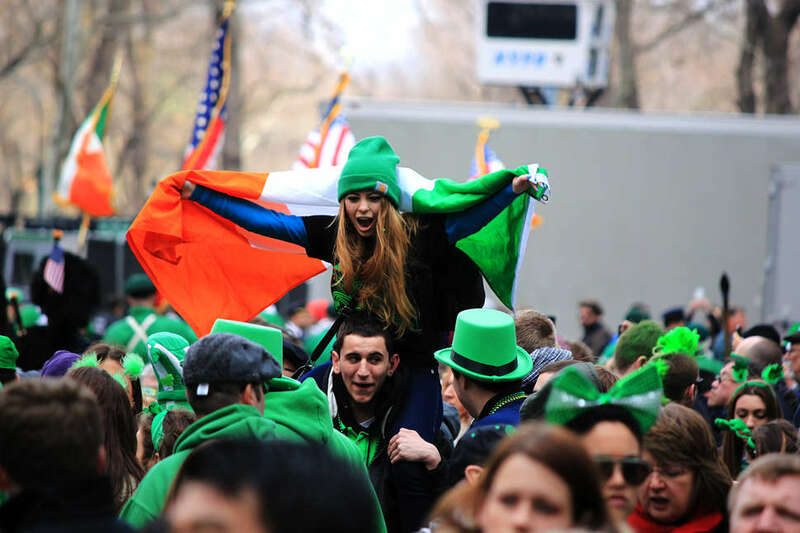 If you’re looking for the routes less traveled, consider the two-day Kiss Me, I’m Irish crawl in Lower Manhattan, or the Saturday-night-only St. Paddy’s Pubcrawl in Astoria. Wake up early, gaze at murals, get some exercise, and save the planet -- you’ll check several boxes off your Better Me 2019 to-do list at the Going Green Art Run. The 5K event combines street art and plogging (picking up trash + jogging), so you’ll simultaneously admire and enhance the beauty of your surroundings. 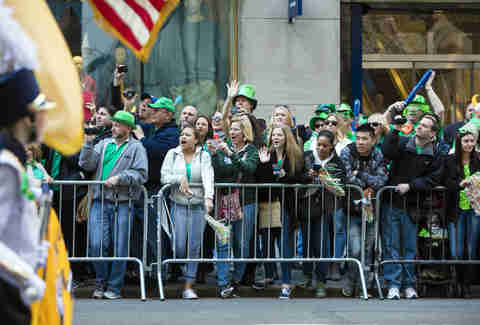 The first NYC St. Patrick’s Day Parade hit the streets in 1762, and it’s been humming along ever since. It’s not only among the oldest St. Patrick’s Day parades in the world, but it’s also the largest, with an estimated 150,000 performers and 2 million observers. Arrive early to get a good view along Fifth Avenue -- the march begins at East 44th Street at 11am and wraps up at East 79th Street. Check our parade guide for tips on how to prepare. On the St. Patrick’s Day Party Cruise, you’ll see the East River as more than just a shiny pit to fix your eyes upon during evening M train commutes. The Jewel Yacht promises a night of upper-deck skyline views, on-board DJs, food, and dancing, with a throwback bottle service option. And the fun doesn’t stop when the boat docks at 11pm: Tickets include free admission to an after-party at Doha Nightclub in Long Island City. 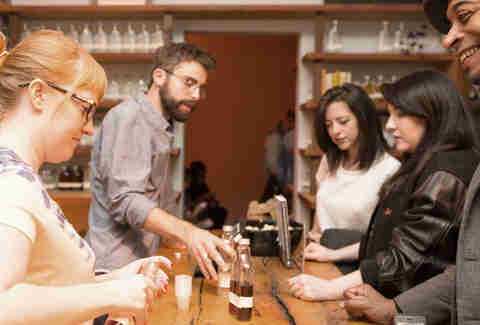 Brooklyn Cider House offers your typical brunch every Saturday and Sunday, but in the spirit of the holiday, St. Patrick’s Day brunch will last from 11am-11pm and include an expanded menu, featuring themed dishes like green eggs & ham ($12) and corned beef & cabbage ($14 entree; $9 small plate). Want drinks? Order a Luck of the Irish (a shot of Jameson with a glass of cider; $9), Irish coffee ($9), or green cider ($7-8). Manhattan’s procession might get more media coverage, but the 44th annual Brooklyn St. Patrick’s Parade will be no less spirited. At 1pm, the participants will march from Bartel-Pritchard Square over to Seventh Avenue and Garfield Place before looping back to the starting line. For the full experience, arrive a few minutes early and watch the Re-Dedication Ceremony at 12:45pm that honors the heroes and victims of the 9/11 terrorist attacks. Grab your most competent friends and pray that the public transportation gods have your back on St. Paddy’s Day. During this adrenaline-filled competition, your team will roam the island for three hours, participating in photo challenges, drinking games, and St. Patrick’s-related trivia along the way. The hunt kicks off at Slattery’s at 2pm, and the winning team walks home with $100 cash. When the streets of Manhattan become your daily backdrop, it’s easy to forget how much history lies on every corner. Take a break from boozing and see the city through a different lens on the St. Patrick’s Day Irish Heritage Tour. 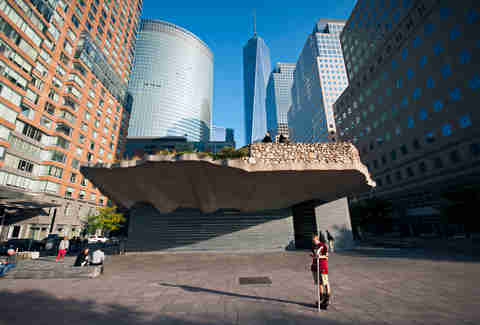 The three-hour journey -- which involves 2 miles of walking and some public transportation -- begins in Grand Central at 2:30pm and ends at the Irish Hunger Memorial in Battery Park City, packing in several landmarks along the way. 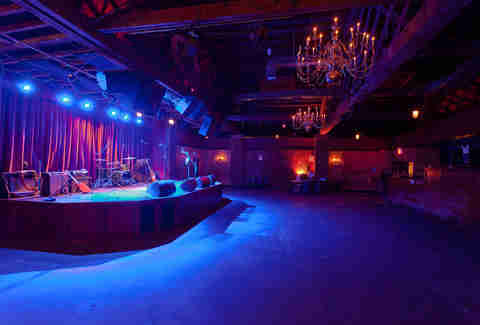 Wrap up St. Patrick’s Day 2019 with a night of punk-infused Celtic soul music at The Bell House. Too-Rye-Ay, an 11-person group led by accomplished musician Ted Leo, will close out the holiday with an energetic, two-set tribute to Dexys Midnight Runners -- you know, the geniuses behind “Come On Eileen”? Doors open at 5, the show starts at 6, and your detox launches promptly after. Kyler Alvord recently took a home DNA test and learned he's as much as 47% Irish. Catch him celebrating St. Patrick's Day with a little extra pride this year, and follow along at @kyalvord.